Beginning in October 2015, 55 people allegedly developed food poisoning from eating at Chipotle. Twenty-one were hospitalized. The first outbreak occurred in 11 states; a second outbreak infected five people in three states. Early reporting of suspected foodborne illnesses may prevent more severe epidemics. Chipotle closed 43 restaurants temporarily in November 2015 for microbial testing of food, surfaces and equipment. Food standards were reviewed. Deep cleaning and sanitation was completed on all 2000 restaurants. In August of 2015, more than 200 customers allegedly were sickened along with 17 employees in California. Then in March 2016, three employees allegedly infected more than 140 in Boston. There were two main culprits, E. coli and Norovirus. The source of the two genotypes of E. coli in October were never determined. The source of the Norovirus was allegedly from sick employees. On February 8, Chipotle closed its stores for four hours to discuss new food safety rules and procedures. The chain has been struck with dropping sales, dropping stock values, class action suits. What are the root causes of a food poisoning epidemic? Many food handlers are not trained or don’t understand the importance of what they are doing in prevention. Some states require only one food handler be certified on site and some don’t require any certification for others. Some states require food handler certification for all preparers and handlers. Though there are National Food and Drug Administration (FDA) Food Code guidelines, they are often inconsistently followed and poorly enforced at the restaurant level. Many municipalities or states have their own version of a food code, adding to the confusion for workers moving between jurisdictions. Health Department surveillance is limited by funding and personnel. What can we learn from food poisoning epidemics that can be used to prevent the same? Food poisoning prevention starts with a facility food safety oriented culture. The corporate vision needs to make it down to the worker level. Initial training is only the beginning. Ongoing refresher courses are essential. Management enforcement of accepted food handling practices is critical and well defined employee sick leave policies need to be in place. ServSafe.com, SafeStaff.org, StateFoodSafety.com, FoodHandler.com, NRFSP.com, eFoodHandlers.com, USFoodHandler.com, Learn2Serve.com as well as a number of state courses in California, Texas, New York and Washington. DiningGrades.com offers free courses and quizzes. No one really wants to be independently audited, but audits can help with discovering problems, focused process improvement strategies, the prevention of a Chipotle-like food safety image nightmare and reduce legal liability. Secret diner programs can provide valuable insight. Early reporting of suspected foodborne illnesses may prevent more severe epidemics. Many, but not all, state or municipalities have online reporting systems. CleanDropMobile.com actively monitors social media sites and did in this case, alerting diners and Chipotle of the trends. That trend was communicated with Chipotle and selected health departments. Iwaspoisoned.com and DiningGrades.com also offer reporting of suspected foodborne illnesses. Reports on DiningGrades.com go directly to the health departments for investigation. There is no simple one-step solution to prevent food poisoning epidemics, but there are many tools that can be utilized when a crisis arises. 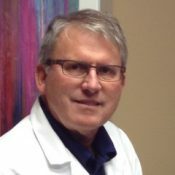 Dr. Harlan Stueven is founder DiningGrades.com, which promotes food safety by increasing public awareness and the formation of partnerships within the food industry.